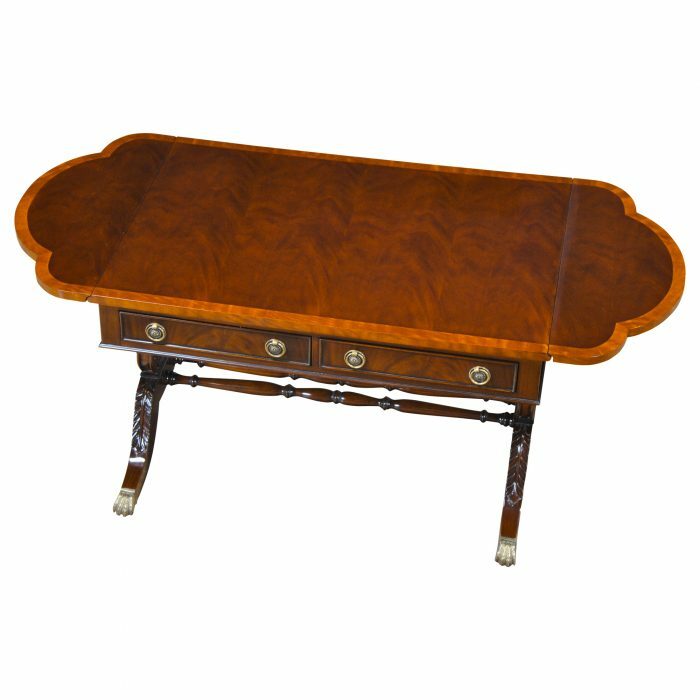 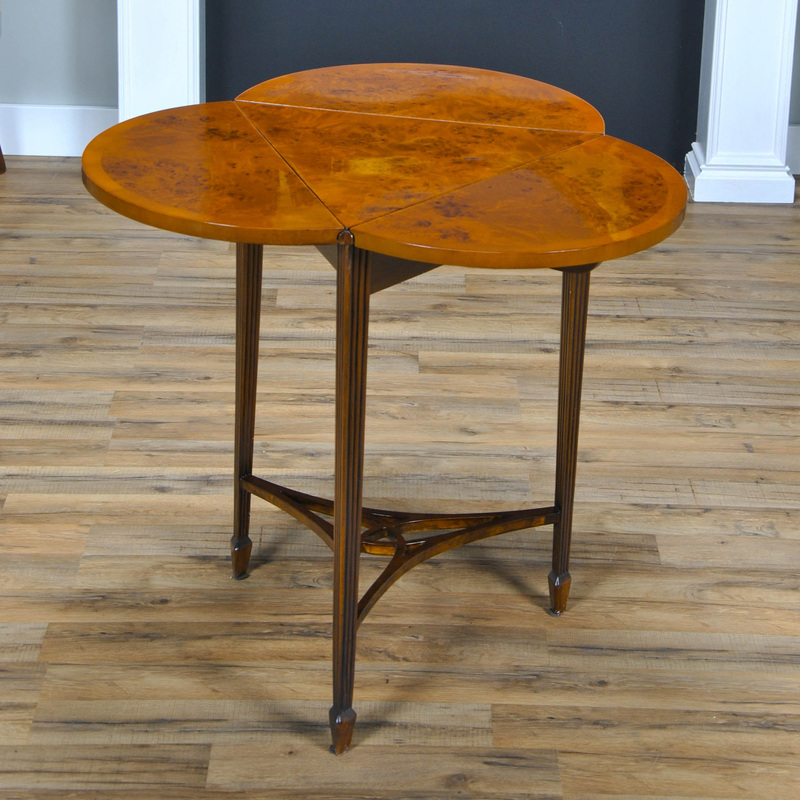 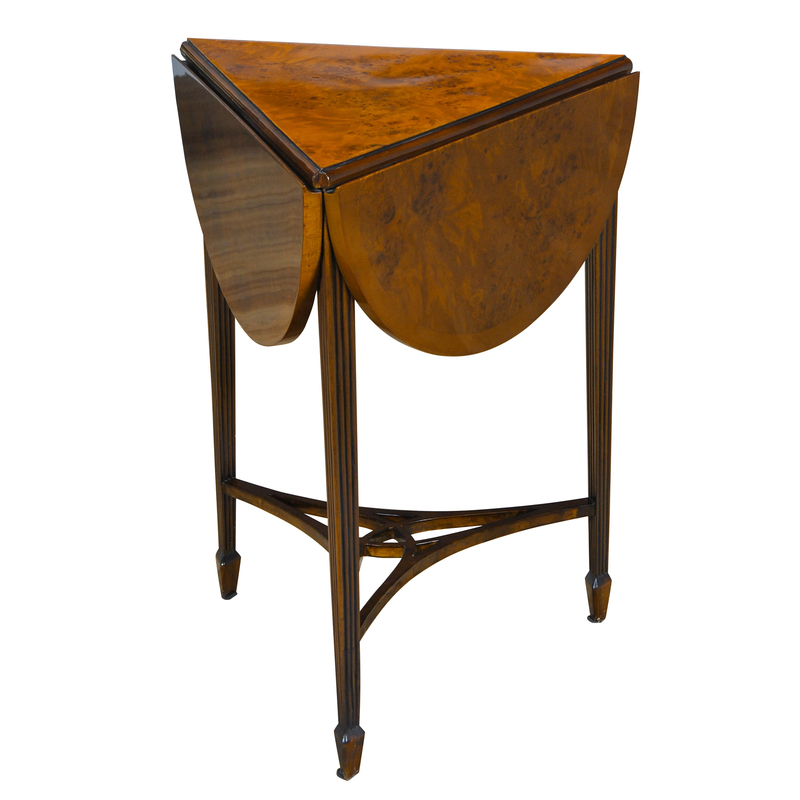 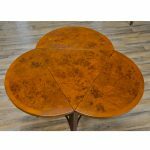 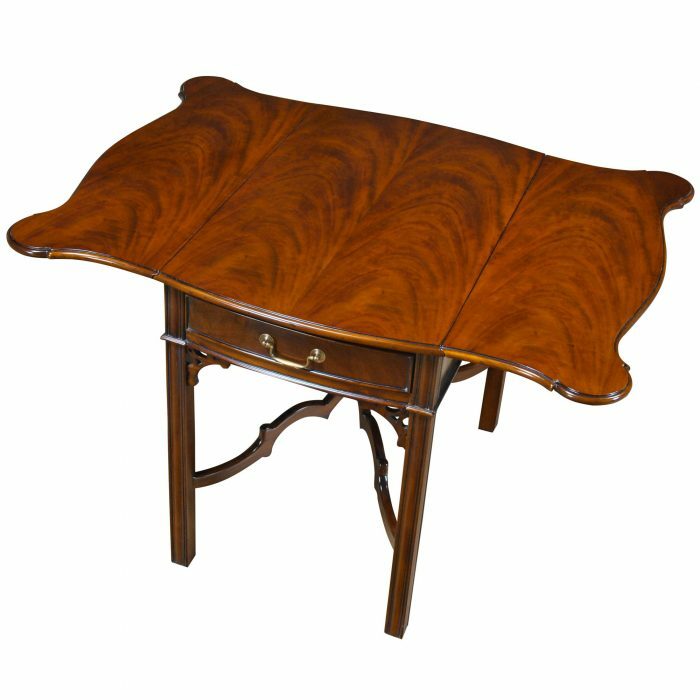 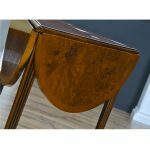 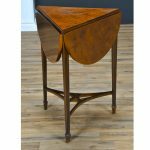 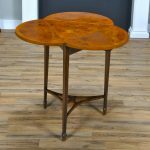 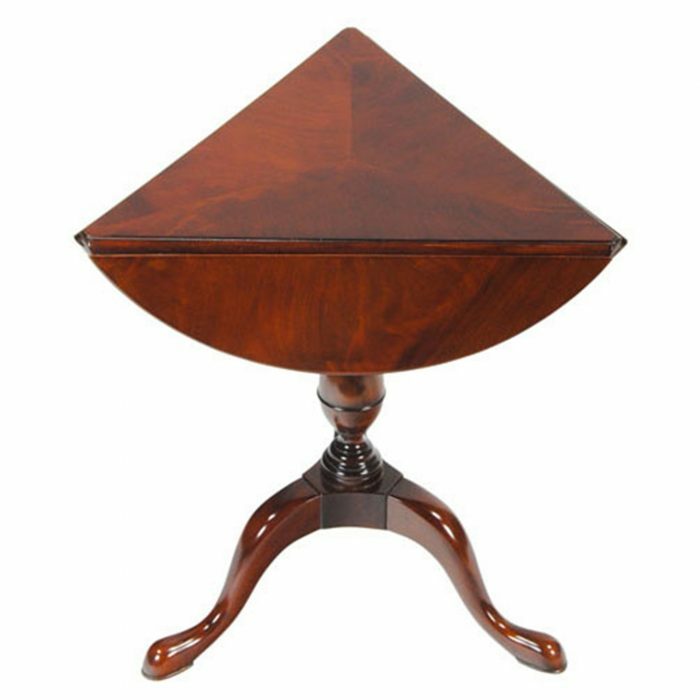 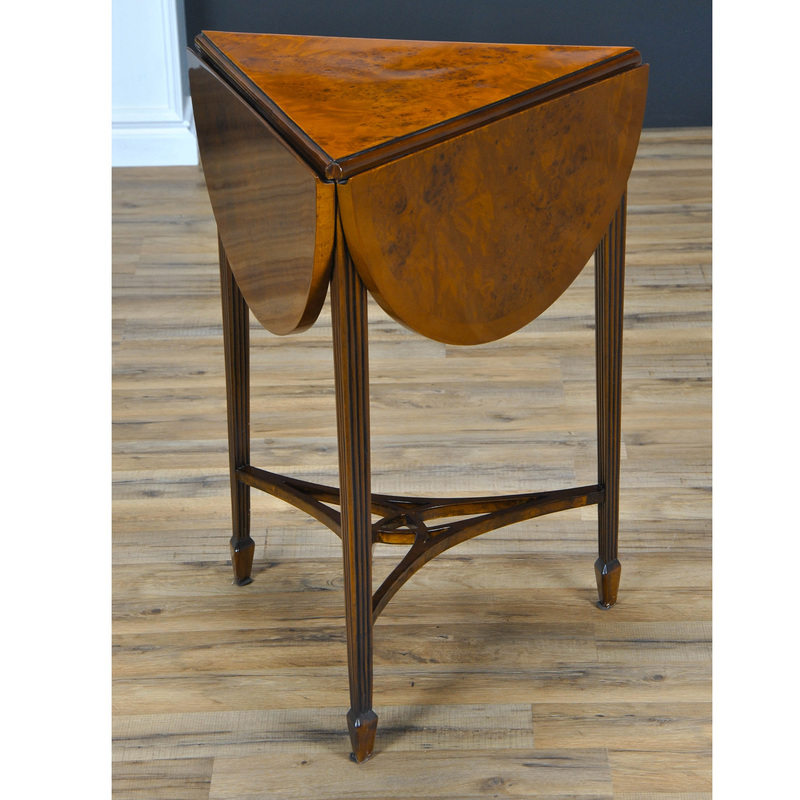 This three leg or tripod Burled Handkerchief Table closes to small triangular size when the leaves are not in use and opens to a beautiful clover shaped table when they are opened. 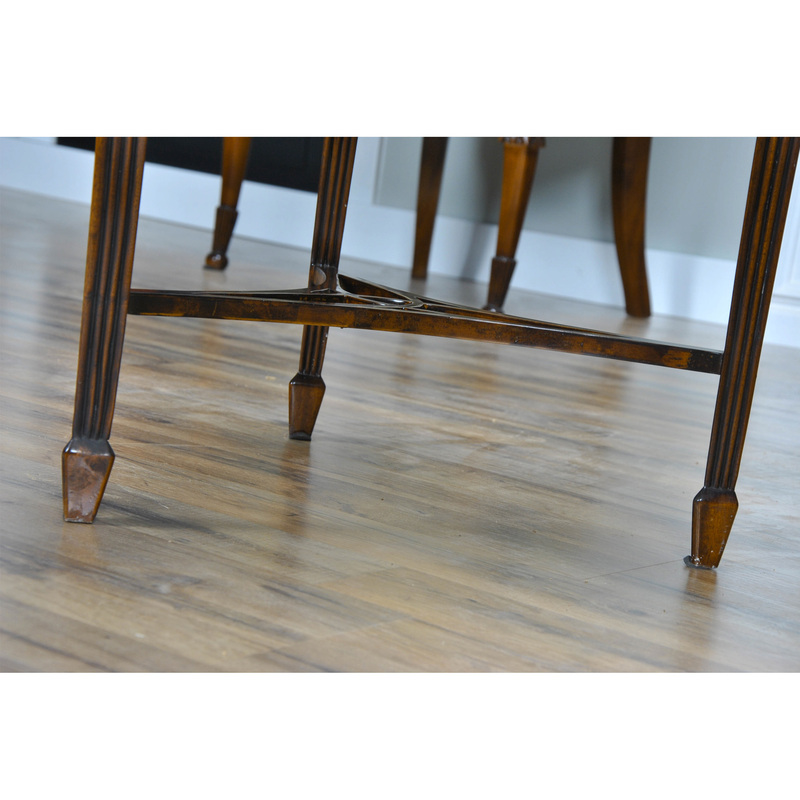 Beautiful burled veneers create striking patterns on the top and solid mahogany, tapered and reeded legs are connected by a beautiful cross stretcher below to give it strength. 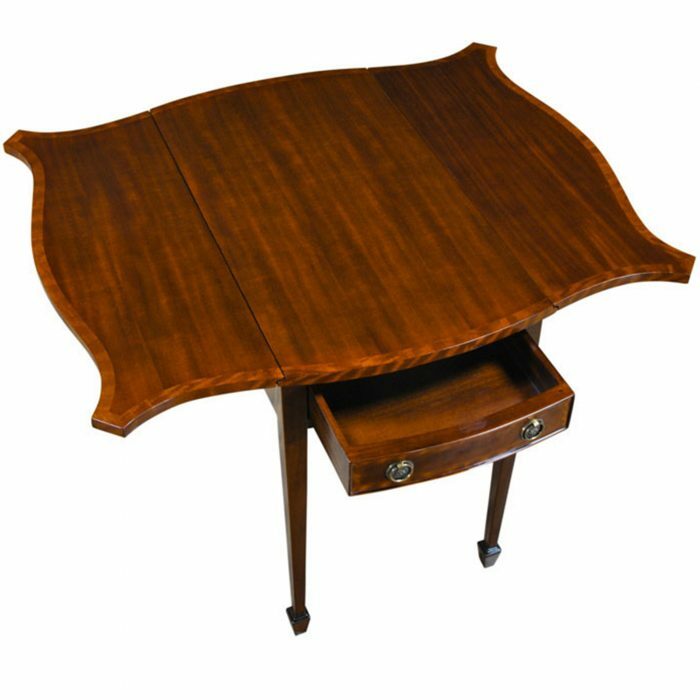 The Burled Handkerchief Table from Niagara Furniture is versatile in that it can be stored in a small space and opened to allow for greater size when needed.